Antony Dapiran, ACYD alumnus speaker, and Partner at international law firm, Davis Polk & Wardwell in Hong Kong, has published a comprehensive article on the challenges and trends, going forward, for doing deals in Greater China with the Australian Center on China in the World at the ANU. For Antony Dapiran's article and other articles published in the ANU Centre on China in the World's 'Australia-China Agenda 2013', please click here. The ANU Centre on China in the World is a Major Partner of the Australia-China Youth Dialogue. 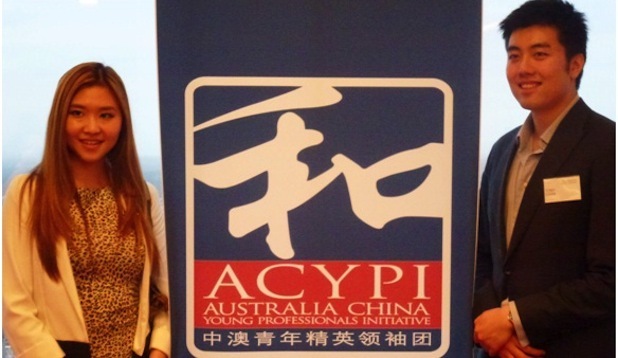 In response to the Australian Government’s ‘Australia in the Asian Century’ country strategies, the Australia-China Young Professionals Initiative (ACYPI) conducted a survey of over 400 young professionals across Australia over one week in May. The survey results, released today in ACYPI’s ‘Enhancing the Australia-China Relationship’ report, show business and government must do more to build a base of Australian and Chinese professionals and entrepreneurs to bring Australia into the Asian Century. 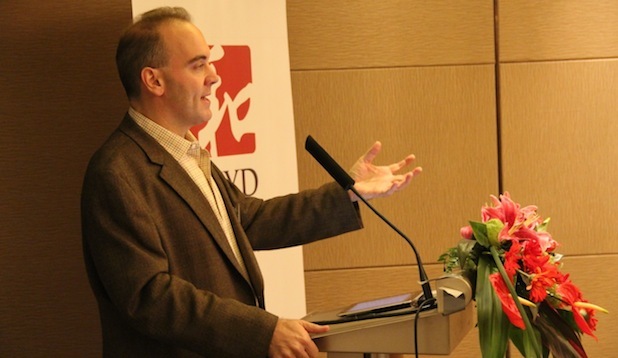 ACYPI Australia Executive Director, Edward Kus, said the survey results demonstrated that ‘young professionals are interested in the Asian Century but struggling to engage with its core issues’. Asialink with the are proud to present a series of lectures and Q&A events with Martin Jacques in Melbourne, Sydney and Brisbane Martin is the international bestselling author of "When China Rules the World: The End of the Western World and the Birth of A New Global Order", which has been republished in Britain, the US and throughout Asia and Europe. 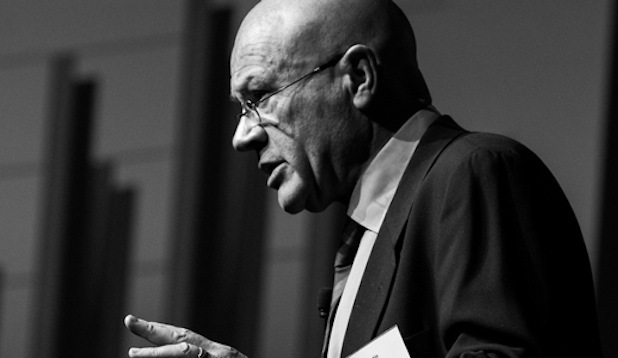 He is a highly acclaimed speaker, broadcaster and newspaper columnist whose hugely successful TED Talk in London, on the rise of China, has had over 1 million views. Martin will discuss key problems, both economic and political, that China will face in the process of becoming the dominant global power. Don't miss this opportunity to hear from and engage in Q&A with a world authority on China and the changing world order. Australia-China Youth Association (ACYA) Group initiatives – the Australia-China Youth Association (ACYA), Australia-China Youth Dialogue (ACYD) and Engaging China Project (ECP) – have been successful in securing grant funding from the Australia-China Council (ACC) to continue their dynamic work fostering meaningful engagement between young people from Australia and China. ACYA Group would like to thank the ACC Board and the Australian Government Department of Foreign Affairs and Trade for recognising our contribution to the Australia-China youth space. ACC’s support will allow ACYA to grow its presence across Australian and Chinese universities, encourage ECP to send more young China Ambassadors into Australian high schools and contribute to the 2013 ACYD, which will bring together 30 outstanding delegates from Australia and China to discuss issues of key importance to the bilateral relationship from 24-29 September in Canberra and Melbourne. For a full list of successful 2013-14 ACC grant recipients, please visit www.dfat.gov.au/acc/grants/successful-recipients.html. ACYA Group’s mission is to inspire Australians and Chinese to work together in realising their vision of a more prosperous, sustainable and interconnected world in the Asian Century. By providing meaningful and frequent engagement between young Australians and Chinese, empowering motivated young people to successfully implement new initiatives, and engaging established leaders in a range of fields from both countries, ACYA Group promotes greater cooperation and engagement between Australia and China and empowers young people who share our vision. ACYA Group consists of four initiatives: the Australia-China Youth Association (ACYA);Australia-China Youth Dialogue (ACYD); Australia-China Young Professionals Initiative (ACYPI); and Engaging China Project (ECP). For more information, please visit http://acyd.org.au/acya-group-about/. The Australia-China Council (ACC) was established by the Australian Government in 1978 to promote mutual understanding and foster people-to-people relations between Australia and China. The function of the Council is to make recommendations to the Australian Government through the Minister for Foreign Affairs on strengthening the Australia-China relationship in ways that support Australia's foreign and trade policy interests. For more information, please visit www.dfat.gov.au/acc. The Department of State Development, Business and Innovation are offering Hamer Scholarships for intensive language study in China valued at $10,000. The scholarships are offered for a minimum of one semester (5-6 months) at selected universities or institutions in China. Check website for exact application opening / closing dates. The program is open to Victorians who are aged 21 or above who are Australian citizens or permanent residents (Victorians living and working in China may also be considered). The scholarships are primarily aimed at Victorians working in the public, private, not-for-profit and creative industries with linkages to China. Applicants should demonstrate how the scholarship would significantly benefit their career path, study plan, or their employer’s future engagement with China. Scholarship recipients will become business, cultural and educational representatives for Victoria. Asialink’s mission is to build an Asia capable, deeply Asia-engaged Australia, through innovative programs that build knowledge, skills and partnerships. It delivers high-level forums, international collaborations, and education and cultural programs in Australia and Asia. Its far-reaching work engages the business, philanthropic, media, arts, education, health and community sectors. Asialink is proud to be a major partner of the ACYD.